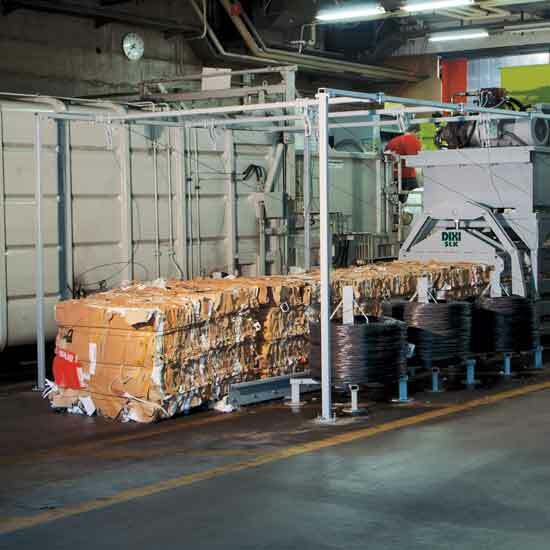 The fully automated DIXI SLK high-capacity channel presses open new perspectives for implementation of practical, industry-specific solutions against mountains of waste (recyclable fractions). 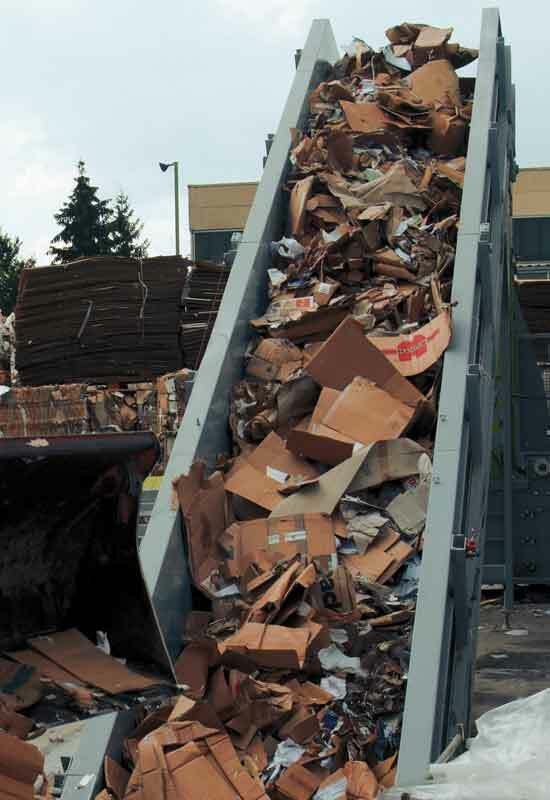 Waste materials in large quantities and residual materials from production require a high degree of handling expense, waste valuable storage space and involve high costs for removal transport for recycling or reuse. 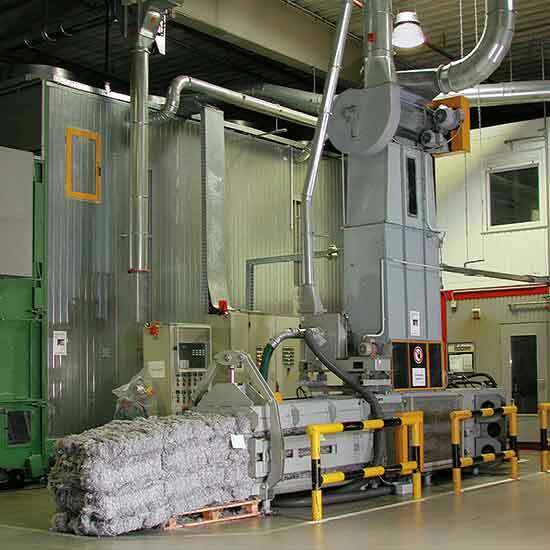 Through selective volume reduction with powerful press systems these unprofitable loads can be reduced to a minimum. We build your press: The automatic DIXI SLK channel press product range offers convincing details and absolute adaptability! DIXI 60 SLK in use for a waste disposal company. Material supply via a conveyor belt with pre-compacting in the fill shaft. Hourly capacity up to 4 tonnes of cardboard. DIXI 50 SLK for pressing of textile fibres for production of insulating materials. Permanent pressing with material supply via extraction from different stations. 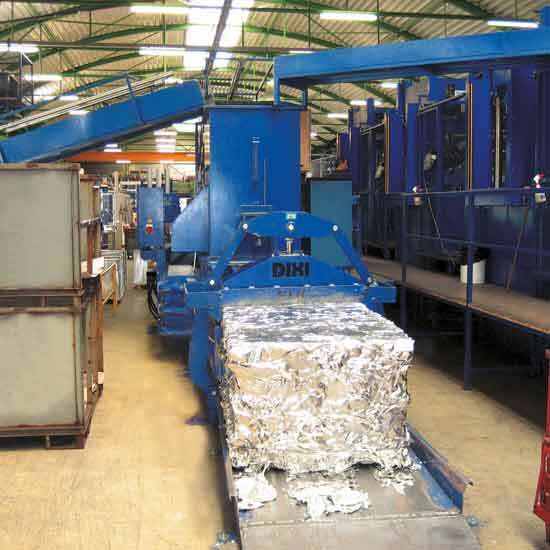 DIXI 60 SLK for pressing of punched aluminium scrap in the automotive supplier industry. Permanent pressing with material intake directly from production lines with conveyor belts. 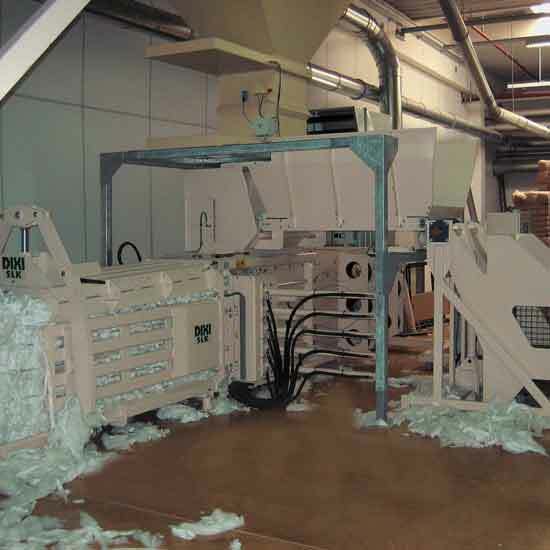 DIXI 40 SLK at use in a paper mill for hygiene tissue. Edge strips from production are pressed. Supply takes place via extraction from different stations in the plant, and additionally via a lift-tilt device on the press. DIXI 30 SLK in use for pressing of plastic or cotton materials for mattress and quilt production. Material supply via extraction from multiple workstations and with lift-tilt device. Use of a DIXI 60 SLK with extremely confined spatial conditions in a central warehouse for several furniture retailers. Individual solution through a high-positioned charging platform and arrangement of the drive unit above the press. Oversized fill hopper with light barrier control: The throw-in opening is dimensioned in accordance with the pressing capacity with charging from above. When pressing, projecting material is cut off by a shear cutter. The connection possibility for automatic control of supply units is already prepared through the microprocessor control. Preliminary stages for improvement performance: For voluminous and bulky materials an additional hydraulic pre-press considerably increases throughput. The space-saving hydraulic unit is integrated in the system. It is free-standing and thus easily accessible for service. Microprocessor control unit with large LCD display and well-organised soft touch keyboard: All functions are entered via the clearly arranged soft-touch keypad, such as specification of the bale size. Operating status, service data and fault messages are also displayed. 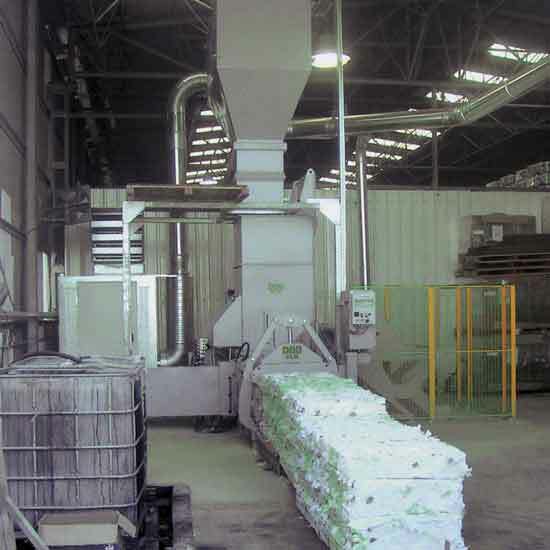 After reaching the set bale length, wire binding occurs automatically. The bale size is variable and can be specified from 30 to 160 cm in length. Automatic binding: A 3x binding is standard. Optionally bales can wound 5x. Use of large rolls of wire significantly reduces the wire change procedure. 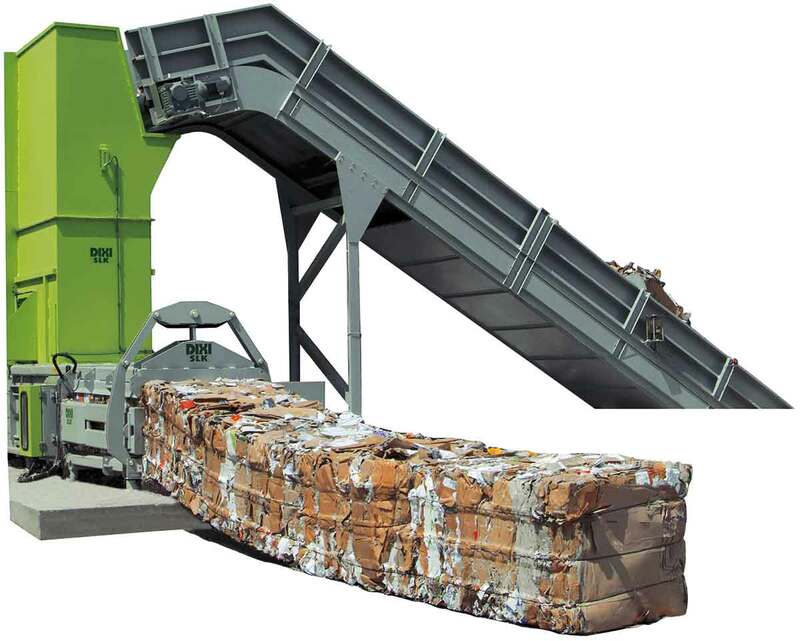 Economic disposal: Optimal bale size and high bale weights ensure ideal utilization of the load capacity of trucks or ship containers.